A Musical Zoo: Listen! 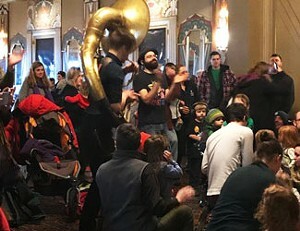 | Flynn Center Lobby | Live Performances, Music | Kids VT - small people, big ideas! This Free Family Saturday, in collaboration with the Lake Champlain Chamber Music Festival, engages listeners on a musical adventure with narration and musicians. All ages.